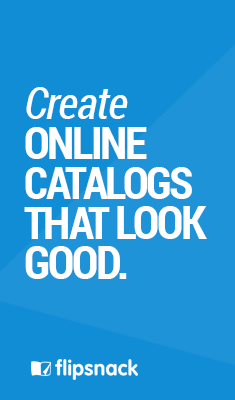 Art catalogs or exhibition catalogs have a multitude of purposes. These publications can serve as a teaser to promote a certain exhibition. Or, for visitors, the exhibition catalog can be an informative book that gives more detailed information about the art inside. Something that they can take home and digest. And perhaps the most important aspect of creating an exhibition catalog is to prove that a show has taken place. Without printed and available documentation, people forget who and what was shown after the exhibit is over. Museums and art exhibits today are these multi-sensorial, interactive multi-media experiences that make it easier for art exhibitors to tell a certain story. But this was not always the case. Back in the days, the only thing that shed some light into the exhibition’s world was the art catalog. Museums and art, in general, are not something that many of us can easily digest. There’s a story that is being told and not everyone has the proper tools to understand it. This is where the art catalog comes in handy. The history of the art catalog starts with the existence of the public museum. 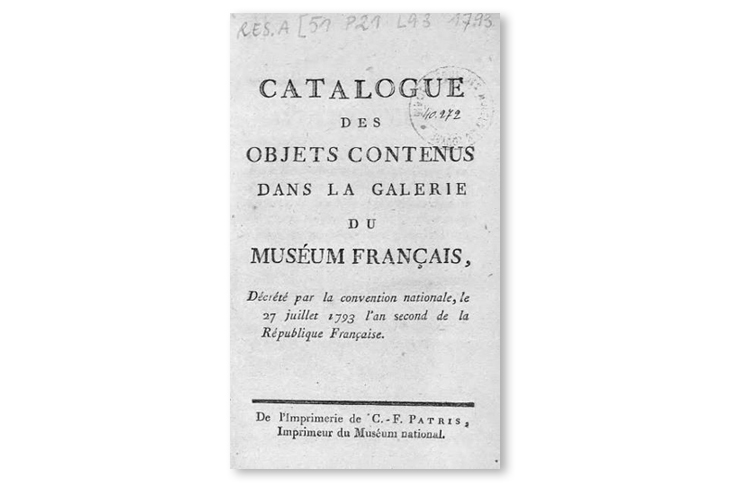 In 1793, Louvre’s first art catalog featured a list of objects of an art collection. Called “The essential features” it was a printed list of objects, in systematic order. The same as their hanging which included descriptions of the objects being displayed. It facilitated the identification of the objects by the public. But there are more types of art catalogs. 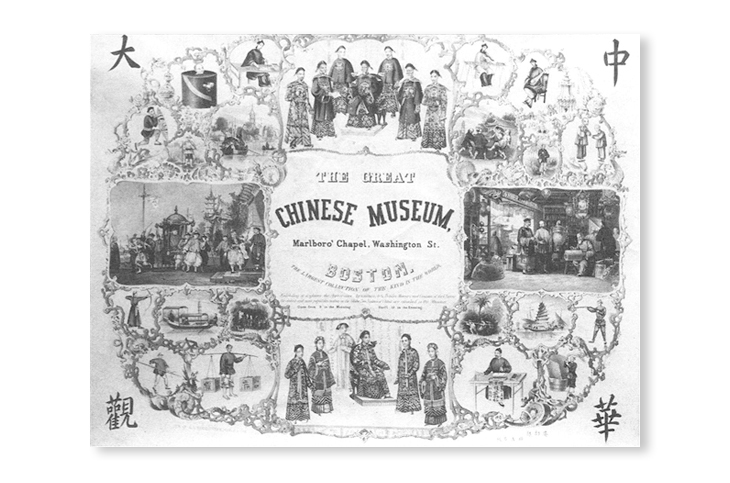 And the first one to describe the actual exhibit, not the objects dates back to 1845, from Boston’s Chinese Museum. They designed a 200-page art catalog that served multiple purposes. It directed visitors through the museum and offered cultural and historical context to tell a more complex story. In this case, it told the story of China and its history. 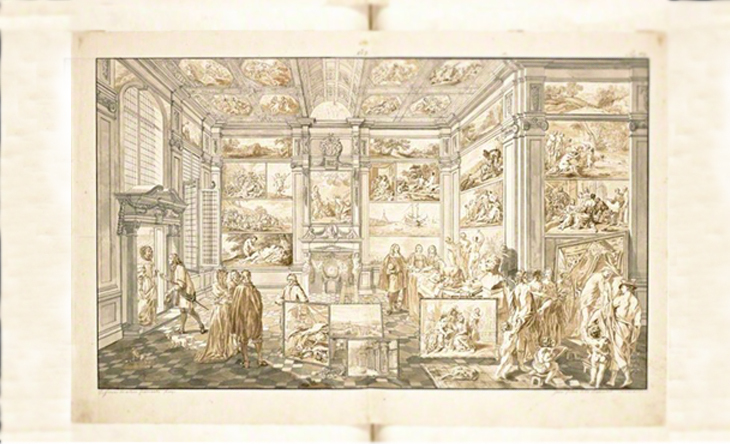 In the 18th century, the Düsseldorf Gallery in Germany was the first to introduce the art of art catalogs in Europe. They created an exhibition catalog for a historic exhibit aimed at people who had little understanding of art. Their approach was somewhat different from the previous exhibition catalogs that we just talked about. In the sense that, alongside the artists and titles listed for each painting, there was also a review of the exhibition. Whether it was from a newspaper, magazine or a book, each painting was accompanied by a certain form of commentary. Its aim was to educate people by explaining the art they saw. The trend of art catalogs was popularised by the Royal Academy of Arts in Britain and the Metropolitan Museum of Art in New York. Ever since it was founded, back in 1768, the Royal Academy of Arts in Britain has provided the ideal medium for various arts and artists to express themselves. And every summer, without exception, since 1769 the Royal Academy Summer Exhibition takes place. 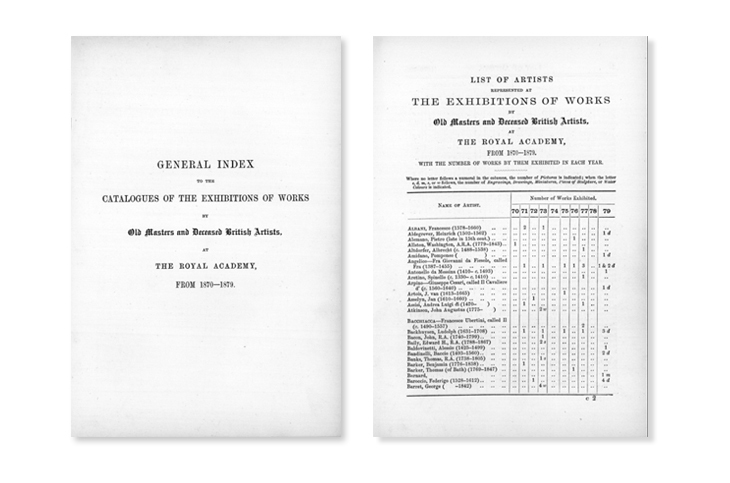 The first edition of the Summer Exhibition Illustrated art catalog was released in the 1870s. A book that presents highlights of the Summer Exhibition, including paintings, prints, photography and other forms of art created by amateur and professional artists. It’s mostly a list of contributors of works by “Old Masters and Deceased British Artists”. To mark its 250th anniversary, in 2018 the Royal Academy released an exclusive box of 250 postcards that celebrates its history and archives. It reflects on the creativity and artistic output of all the generations of Royal Academicians. Unlike the first editions, the latest print versions of the Summer Exhibition Illustrated art catalogs are true works of art. And it was more than just an index of artists and works displayed. We’re talking about over 200 pages filled with aesthetically pleasing, luxurious photography printed on glossy pages. Often these are cataloged under the coffee table books section and marketed likewise. What exactly is an art catalog? 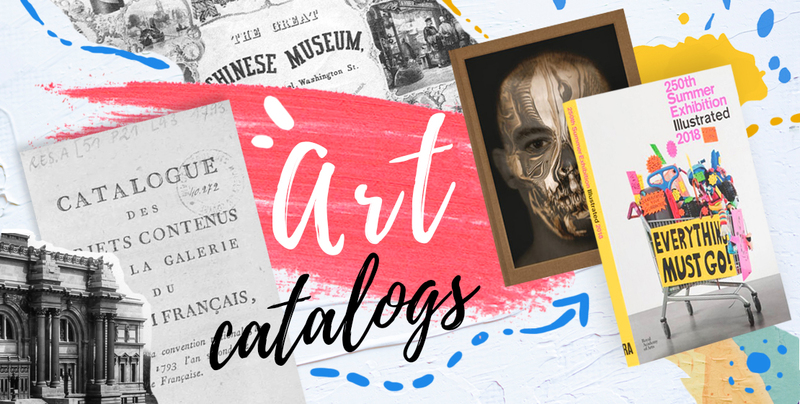 Art catalogs often come in these 3 forms: a printed archive of a museum’s permanent collection, a record of a temporary exhibition or an essay devoted to a single artist. As you’d expect, there are no set rules when it comes to producing, designing or writing of exhibition catalogs. As long as it does justice to the art and artist being represented 100%, this type of art catalogs offers a great amount of artistic freedom. It’s more a matter for negotiation between artist, writer, and gallery. But usually, you’ll see a few common things that appear in almost every exhibition catalog. These may include a list of the exhibition’s schedule, a floor plan showing the location of each exhibition stand, the list of founders and sponsors and a contents page. Other important aspects that can be added are some of the details of seminars or conference sessions running alongside the exhibition. It’s also of major importance to mention all the other people who contributed with expertise or money to the project. It may seem like the art catalog hasn’t changed a lot since it first appeared, more than 200 years ago. But in terms of design, the exhibition catalog today became a true piece of book art itself. Coffee book table art. For good reason! In a time when many proclaim that print will soon die, this type of format is not suitable for the digital format. Because catalogs are more about contemplative looking. Take for example the Met Museum and its now world-famous Met Gala that celebrates The Metropolitan Museum of Art Costume Institute exhibition. With all the publicity around the Gala and Anna Wintour itself, each year, they still release a book that is published to coincide with the exhibition. But besides releasing a new book each year, the MET also started doing this in video format. Art in the 21st century! Another notable art book is the one that talks about one of the most innovative, influential, and provocative designers of his generation. The complex fashion designer, the one and only Alexander McQueen. Alexander McQueen: Savage Beauty was released to coincide with the exhibition at The Metropolitan Museum of Art organized by The Costume Institute, a year after the designer passed away. 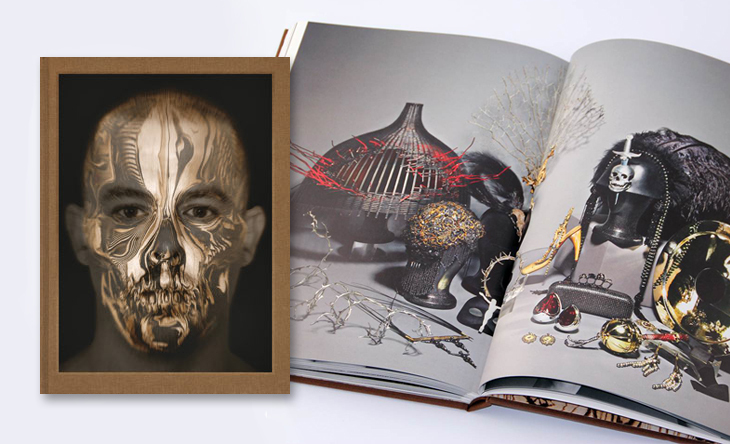 It’s considered a fashion bible, a stunning book that’s an homage to the fashion genius that was Alexander McQueen. For most of its history, most people considered the art catalog as a piece of evidence that a certain exhibition took place. Today, we talk about much more than just an index of artists and a brief description of an art exhibit. The art of art catalogs became a true expression of creativity. With most of these art books becoming true coffee book table collectibles.